This morning's WOD felt pretty hard for me, and I thought I was far behind the others but it turns out I just can't keep track of my rounds in my head. Not a problem because Alan kept track for us. 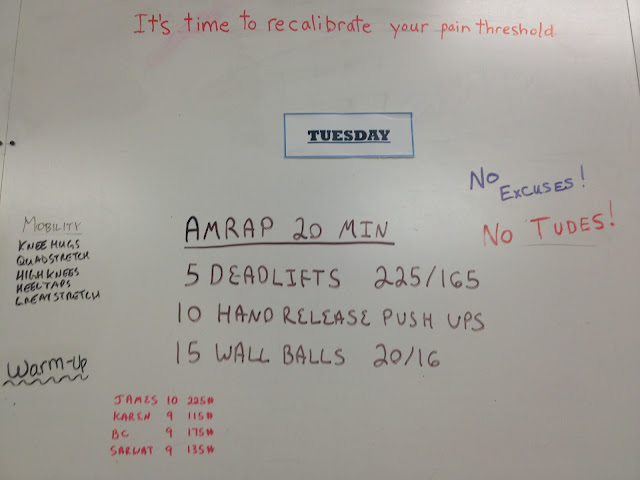 I got 9 rounds + 5 deads and 10 push-ups and really hated the wall balls! I don't think there is another exercise that gets my heart rate skyrocketing like wall balls.